For other uses, see Mount Wellington. Mount Wellington, officially kunanyi / Mount Wellington, incorporating its Palawa kani name (Aboriginal: Unghbanyahletta or Poorawetter), is a mountain in the southeast coastal region of Tasmania, Australia. It is the summit of the Wellington Range and is within the Wellington Park reserve. Located at the foothills of the mountain is much of Tasmania's capital city, Hobart. The mountain rises to 1,271 metres (4,170 ft) above sea level and is frequently covered by snow, sometimes even in summer, and the lower slopes are thickly forested, but crisscrossed by many walking tracks and a few fire trails. There is also a sealed narrow road to the summit, about 22 kilometres (14 mi) from Hobart central business district. An enclosed lookout near the summit has views of the city below and to the east, the Derwent estuary, and also glimpses of the World Heritage Area nearly 100 kilometres (62 mi) west. From Hobart, the most distinctive feature of Mount Wellington is the cliff of dolerite columns known as the Organ Pipes. 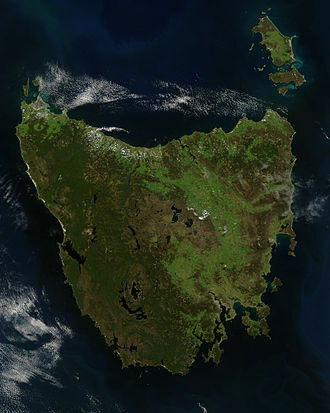 The low-lying areas and foothills of Mount Wellington were formed by slow geological upsurge when the whole Hobart area was a low-lying cold shallow seabed. 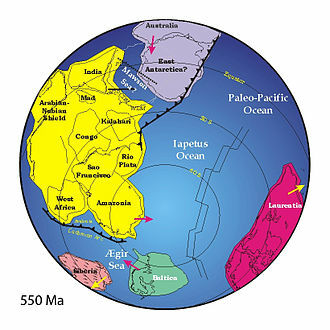 The upper reaches of the mountain were formed more violently, as a Sill with a tabular mass of igneous rock that has been intruded laterally between layers of older rock pushing upwards by upsurges of molten rock as the Australian continental shelf tore away from Antarctica, and separated from Gondwana over 40 million years ago. It is often incorrectly considered to be a dormant volcano. Mount Wellington was originally referred by the original Tasmanian nations of the area as Unghbanyahletta (or Ungyhaletta), Poorawetter (or ‘'Pooranetere'’, also Pooranetteri), or kunanyi to the indigenous people of Tasmania. 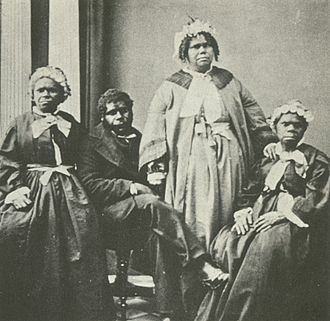 The Palawa, the surviving descendants of the original indigenous Tasmanians, tend to prefer the latter name. In 2013, a Tasmanian dual naming policy was announced and "kunanyi / Mount Wellington" was named as one of the inaugural dual named geographic features. The first recorded European in the area Abel Tasman probably did not see the mountain in 1642, as his ship was quite a distance out to sea as he sailed up the South East coast of the island – coming closer in near present-day North and Marion Bays. No other Europeans visited Tasmania until the late eighteenth century, when several visited southern Tasmania (then referred to as Van Diemens Land) including Frenchman Marion du Fresne (1772), Englishmen Tobias Furneaux (1773), James Cook (1777) and William Bligh (1788 and 1792), and Frenchman Bruni d'Entrecasteaux (1792–93). In 1793 Commodore John Hayes arrived at the Derwent River, naming the mountain Skiddaw, after the mountain in the Lake District, although this name never gained popularity. In 1798 Matthew Flinders and George Bass circumnavigated the island. Whilst they were resting in the area Flinders named the river the Derwent River (the name John Hayes had given only to the upper part of the river), Flinders referred to the mountain as ‘Table Mountain’ (the name given to it by Bond and Bligh – young Matthew Flinders was with them in 1791) for its similarity in appearance to Table Mountain in South Africa. 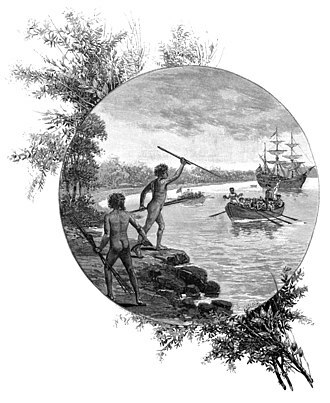 Bruni d'Entrecasteaux's men were the first European to sail up the river and chart it. 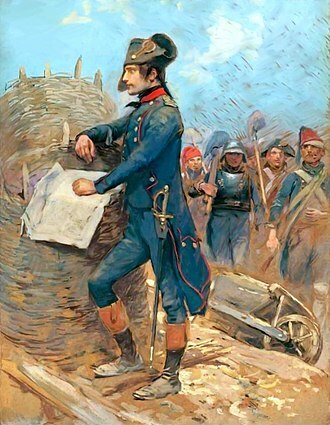 Later Nicholas Baudin led another French expedition in 1802, and whilst sheltering in the Derwent River (which they referred to as ‘River du Nord’ – the name d'Entrecasteaux had given to it) Baudin also referred to the mountain as ‘Montagne du Plateau’ (also named by d'Entrecasteaux). 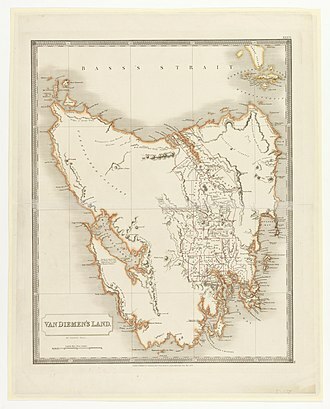 However, the British first settled in the Hobart area in 1804, resulting in Flinders’ name of ‘Table Mountain’ becoming more popular. Table Mountain remained its common name until in 1832 it was decided to rename the mountain in honour of the Duke of Wellington who, with Gebhard Leberecht von Blücher finally defeated Napoleon at the Battle of Waterloo in present-day Belgium on 18 June 1815. A small waterfall in New Town Rivulet near the head of the rivulet on the slopes of Mt Arthur, a sub-peak of Mt Wellington. "... In many parts the Eucalypti grew to a great size, and composed a noble forest. In some of the dampest ravines, tree-ferns flourished in an extraordinary manner; I saw one which must have been at least twenty feet high to the base of the fronds, and was in girth exactly six feet. The fronds forming the most elegant parasols, produced a gloomy shade, like that of the first hour of the night. 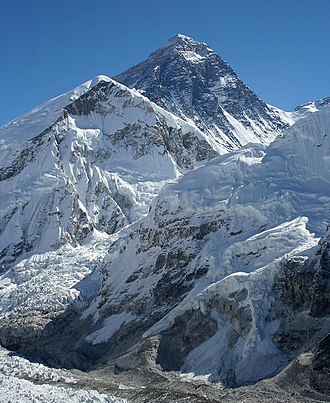 The summit of the mountain is broad and flat, and is composed of huge angular masses of naked greenstone. Its elevation is 3,100 feet [940 m] above the level of the sea. The day was splendidly clear, and we enjoyed a most extensive view; to the north, the country appeared a mass of wooded mountains, of about the same height with that on which we were standing, and with an equally tame outline: to the south the broken land and water, forming many intricate bays, was mapped with clearness before us. 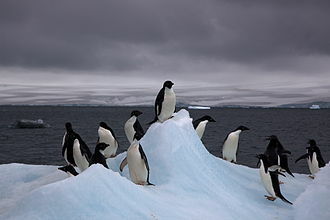 ..."
The first weather station was set up on Mount Wellington in 1895 by Clement Lindley Wragge. Mount Wellington has played host to some notorious characters over time, especially the bushranger 'Rocky' Whelan, who murdered several travelers in the middle of the 19th century. The cave where he lived is known appropriately as 'Rocky Whelan's Cave', and is an easy walk from the Springs. Organ Pipes at the top of the mountain. The lookout building near the summit, with the main television and radio transmitter in the background. Throughout the 19th and into the 20th centuries, the Mountain was a popular day-resort for residents of Hobart. To that end, many excursion huts were built over the lower slopes of the mountain. However, none of these early huts survive as they were all destroyed during the disastrous bushfires of 1967, though modern huts are open to the public at the Springs, the Pinnacle, the Chalet – a picnic spot about halfway between the Springs and the Pinnacle – and elsewhere. Sadly, many of the more remote huts have suffered from vandalism, and some are virtually derelict. The road to the summit was constructed in the early 1930s as a relief scheme for the unemployed, an idea initiated by Albert Ogilvie, the Premier of Tasmania of the day. While the road is officially known as the Pinnacle Drive, it was, for some time, also widely known among residents of Hobart as 'Ogilvie's Scar' because at the time it was constructed 'the Mountain' was heavily logged and almost bare, and the road was an all-too-obvious scar across the already denuded mountain. Today the trees have grown again but the 'scar' most people see today is not actually the road but a line of large rocks with no trees 50–100 m above the road, provided as an easement for power lines. The road itself was opened in August 1937, after nearly two years of work, by Governor Sir Ernest Clark. The road carries tourist traffic during the day and sections may be closed at any time of the year due to snowfalls or icy conditions. Halfway up this road (around 700 metres) is a picnic area called "The Springs", near the site of a chalet/health spa that was destroyed by bushfire in 1967. Mount Wellington was selected by many broadcasters as the site of broadcast radio and television transmitters because it provides line-of-sight transmission to a much larger area of Hobart and surrounding districts than any other point in the region. The first television stations to transmit from there were TVT-6 (now WIN Television) and ABT-2 (the ABC) in 1960. The mountain has two main transmission towers located at its pinnacle. One is the concrete and steel constructed Broadcast Australia Tower (sometimes referred to as the NTA Tower) and one owned by WIN television which is of steel construction. The NTA tower broadcasts all of Hobart's high power FM radio stations plus the digital TV services for ABC and SBS. The NTA tower also has a small accommodation area at its base with kitchen and workshop area. The WIN TV tower broadcasts the digital TV services from Southern Cross, Win TV, and Tasmanian Digital Television. The site also contains a small kitchen area and contains some data links from local Hobart businesses. An amateur radio repeater is also installed on the mountain. An aerial cableway (cable car) has been proposed for the mountain on four occasions. Mount Wellington has a Tundra Climate (Köppen: ET ). 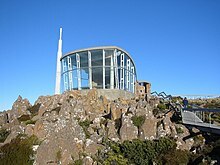 The mountain significantly influences Hobart's weather, and intending visitors to the summit are advised to dress warmly against the often icy winds at the summit, which have been recorded at sustained speeds of over 157 kilometres per hour (98 mph), with rare gusts of up to 200 kilometres per hour (120 mph). In the winter it frequently snows and the mountain is often snowcapped. Lighter snowfalls in spring, summer and autumn are also common. A day on the summit can consist of clear sunny skies, then rain, then snow, then icy winds and then clear again. ^ a b c Milligan, Joseph (1858). 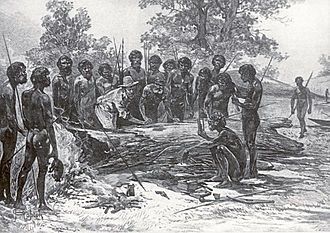 "On the dialects and languages of the Aboriginal Tribes of Tasmania, and on their manners and customs". Papers of the Royal Society of Tasmania: 432. ^ a b c d "Mount Wellington, Australia". Peakbagger.com. Retrieved 7 June 2015. ^ "Mount Wellington (TAS)". Gazetteer of Australia online. Geoscience Australia, Australian Government. ^ a b "Tasmanian dual naming policy announced atop Kunanyi". Australian Broadcasting Corporation. 13 March 2013. Retrieved 20 November 2014. ^ "Wellington Park – Bush walking". Retrieved 24 October 2013. 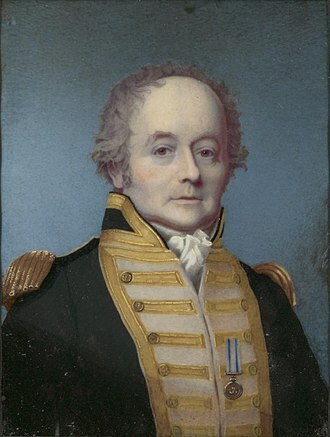 ^ Flinders, Matthew (1801). Observations on the coasts of Van Diemen's Land, on Bass's Strait and its islands, and on parts of the coasts of New South Wales; intended to accompany the charts of the late discoveries in those countries. John Nichols. p. 5. ^ "Mount Wellington – Rocky Whelan's Cave". Retrieved 24 October 2013. ^ "Wellington Park – Sightseeing and facilities". Retrieved 24 October 2013. ^ "The Pinnacle Road, Mt Wellington". Australian Bureau of Statistics. 22 January 2013. Retrieved 24 October 2013. ^ "Climate Statistics for Mount Wellington". Bureau of Meteorology. Retrieved 16 April 2013. '208 Network'. (1994) Mt. Wellington – Mountain Park resource management plan and master plan for the Corporation of the City of Hobart : final draft for public comment : Hobart : 208 Network. "The 208 Network is John Hepper, Jerry de Gryse, with assistance from Chris Sharples, Fred and Diana Duncan, Robert Taylor, Hilary du Cros, Lindy Scripps, Greg Hodge". Curtis, Winifred M. (Winifred Mary) (n.d.) Forests and flowers of Mount Wellington, Tasmania illustrated by D. Colbron Pearse. [Hobart]: Tasmanian Museum and Art Gallery. de Quincey, Elizabeth and Cannon, John (2005) The Companion to Tasmanian History p. 245 – entry "Mount Wellington"
Table Mountain is a flat-topped mountain forming a prominent landmark overlooking the city of Cape Town in South Africa. It is a significant tourist attraction, with visitors using the cableway or hiking to the top. The mountain forms part of the Table Mountain National Park, the main feature of Table Mountain is the level plateau approximately 3 kilometres from side to side, edged by impressive cliffs. The plateau, flanked by Devils Peak to the east and by Lions Head to the west and this broad sweep of mountainous heights, together with Signal Hill, forms the natural amphitheatre of the City Bowl and Table Bay harbour. The highest point on Table Mountain is towards the end of the plateau and is marked by Maclears Beacon. 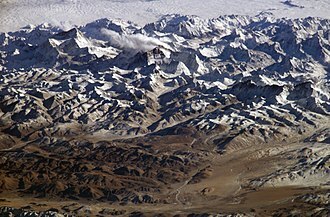 It is 1,086 metres above sea level, nou en about 19 metres higher than the station at the western end of the plateau. Legend attributes this phenomenon to a smoking contest between the Devil and a pirate called Van Hunks. When the table cloth is seen, it symbolizes the contest, immediately to the south of Table Mountain is a rugged plateau at a somewhat lower elevation than the Table Mountain Plateau, called the Back Table. The Back Table extends southwards for approximately 6 km to the Constantia Nek-Hout Bay valley, the Atlantic side of the Back Table, is known as the Twelve Apostles, which extends from Kloof Nek to Hout Bay. It is better known by the names of the areas on its the lower slopes, Groote Schuur Estate, Newlands Forest, Kirstenbosch Botanical Gardens, Cecilia Forest. The upper approximately 600 m portion of the 1 km high table-topped mountain, or mesa, the Graafwater rocks can best be seen just above the contour path on the front of Table Mountain, and around Devils Peak. They can seen in the cutting along Chapmans Peak Drive. 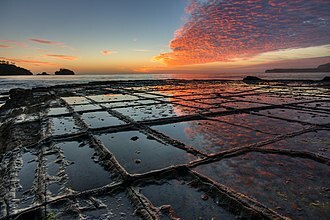 These rocks are believed to have originated in shallow tidal flats, in which a few Ordovician fossils, the overlying TMS probably arose in deeper water, either as a result of subsidence, or a rise in the sea level. The Graafwater rocks rest on the basement consisting of Cape Granite, Devils Peak, Signal Hill, the City Bowl and much of the Cape Flats, rest on heavily folded and altered phyllites and hornfelses known informally as the Malmesbury shales. Skiddaw is a mountain in the Lake District National Park in England, where its 931-metre summit is the sixth-highest in England. It lies just north of the town of Keswick, Cumbria and it is the simplest of the Lake District mountains of this height to ascend and, as such, many walking guides recommend it to the occasional walker wishing to climb a mountain. This is the first summit of the fell running challenge known as the Bob Graham Round when undertaken in a clockwise direction and it provides the name for the slate derived from that region, Skiddaw slate. Tuned percussion musical instruments or lithophones exist which are made from the slate, such as the Musical Stones of Skiddaw held at the Keswick Museum, the Northern Fells make up a roughly circular upland area approaching 10 miles in width. The south-western sector, between the Glenderaterra Beck and Dash Beck, contains Skiddaw and its satellites, Skiddaw itself takes the form of a north-south ridge about half a mile long, with steep slopes to east and west. The ridge continues northwards over Broad End to Bakestall, a fell overlooking the Whitewater Dash waterfall, further ridges fan out east and west from the southern end of Skiddaw. To the south-east are Skiddaw Little Man, Lonscale Fell and Latrigg, beyond these fells are the Glenderaterra Beck and the Blencathra group. The south-western ridge curves round through 180 degrees to run north above the shore of Bassenthwaite Lake and this gives Skiddaw an outer wall, comprising Carl Side, Long Side and Ullock Pike, collectively referred to as Longside Edge. The final member of the Skiddaw Group is Dodd, a satellite of Carl Side, between Skiddaw and Longside Edge are the quiet valleys of Southerndale and Barkbethdale, separated by the spur of Buzzard Knott. These drain the western flanks of the fell to Bassenthwaite Lake, the eastern side of Skiddaw drains into Skiddaw Forest, much of the water reaching Candleseaves Bog. This marsh is the source of both the Dash Beck flowing north west to Bassenthwaite and the River Caldew, beginning its long journey north-eastward to the Solway Firth via Carlisle. The Derwent is a river in Tasmania, Australia. The banks of the Derwent were once covered by forests and occupied by Tasmanian Aborigines, european settlers farmed the area and during the 20th century many dams were built on its tributaries for the generation of hydro-electricity. Agriculture, hydropower generation and fish hatcheries dominate catchment land use, the Derwent is an important source of water for irrigation and water supply. Most of Hobarts water supply is taken from the lower Derwent River, nearly 40% of Tasmanias population lives around the estuarys margins and the Derwent is widely used for recreation, recreational fishing, marine transportation and industry. It was named after the River Derwent, Cumbria, by British Commodore John Hayes who explored it in 1793, the name is Brythonic Celtic for valley thick with oaks. John Hayes placed the name Derwent River only in the part of the river. Matthew Flinders placed the name on all of the river, the Derwent River valley was inhabited by the Mouheneener people for at least 8,000 years before British settlement. Evidence of their occupation is found in many middens along the banks of the river, in 1793, John Hayes named it after the River Derwent, which runs past his birthplace of Bridekirk, Cumberland. When first explored by Europeans, the parts of the valley were clad in thick she-oak forests, remnants of which remain in various parts of the lower foreshore. There was a whaling industry until the 1840s when the industry rapidly declined due to over-exploitation. Flows average in range from 50 to 140 cubic metres per second, the largest vessel to ever travel the Derwent is the 113, 000-tonne, 61-metre high, ocean liner Diamond Princess, which made her first visit in January 2006. At points in its lower reaches the river is nearly 3 kilometres wide, until the construction of several hydro-electric dams between 1934 and 1968, the river was prone to flooding. The Upper Derwent is affected by agricultural run-off, particularly land clearing. The Lower Derwent suffers from high levels of metal contamination in sediments. Robert Brown FRSE FRS FLS MWS was a Scottish botanist and palaeobotanist who made important contributions to botany largely through his pioneering use of the microscope. 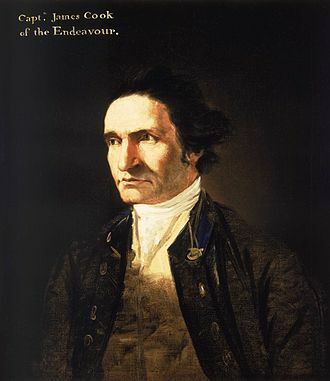 Brown was born in Montrose on 21 December 1773 and he was the son of James Brown, a minister in the Scottish Episcopal Church with Jacobite convictions so strong that in 1788 he defied his churchs decision to give allegiance to George III. 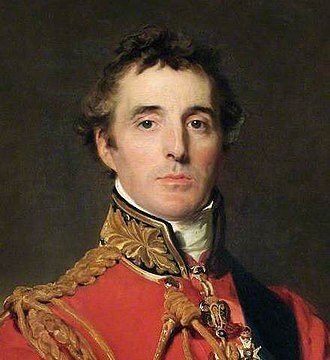 His mother was Helen née Taylor, the daughter of a Presbyterian minister, as a child Brown attended the local Grammar School, Marischal College at Aberdeen, but withdrew in his fourth year when the family moved to Edinburgh in 1790. 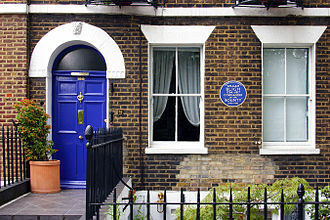 His father died late the following year, Brown enrolled to study medicine at the University of Edinburgh, but developed an interest in botany, and ended up spending more of his time on the latter than the former. 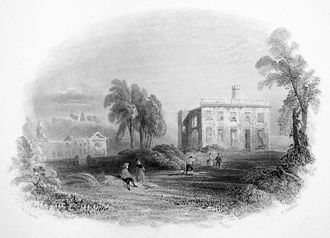 He began corresponding with and collecting for William Withering, one of the foremost British botanists of his day, Brown dropped out of his medical course in 1793. 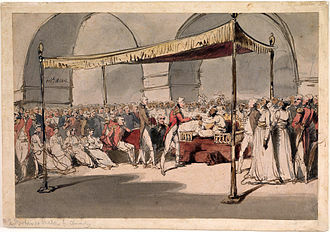 Late in 1794, he enlisted in the Fifeshire Fencibles, in June 1795 he was appointed Surgeons Mate. 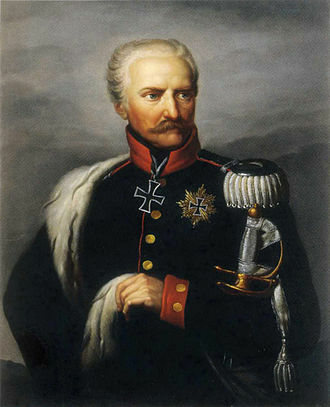 His regiment saw little action, however, he had a good deal of leisure time. During this period Brown was especially interested in cryptogams, and these would be the subject of Browns first, albeit unattributed, Brown began a correspondence with James Dickson, and by 1796 was sending him specimens and descriptions of mosses. Dickson incorporated Browns descriptions into his Fasciculi plantarum cryptogamicarum britanniae, with Browns permission and he had begun experimenting with microscopy. However, as a surgeon stationed in Ireland there seemed little prospect of him attracting the notice of those who could offer him a career in botany. 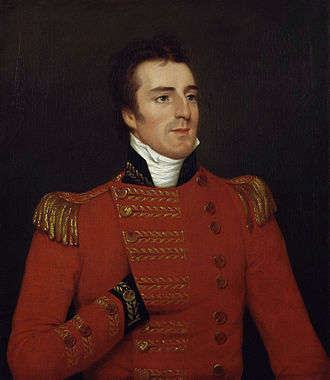 In 1798, Brown heard that Mungo Park had withdrawn from an expedition into the interior of New Holland. At Browns request, Correia wrote to Sir Joseph Banks, suggesting Brown as a replacement, Science is the gainer in this change of man. He is a Scotchman, fit to pursue an object with constance and he was not selected, and the expedition did not end up going ahead as originally proposed, though George Caley was sent to New South Wales as a botanical collector for Banks. Lake Seal, Mount Field National Park. The remains of a Pleistocene cirque glacier are visible in the walls around lake seal. Rocky Mountain foothills near Denver, CO.